← The Robot Revolution… Is Closer Than You Think! The robots are coming and they will profoundly your job and how employment works in America, and the world. That’s a big statement, but it is a big, big revolution. By now you know the world “Drone”. It means an unmanned machine, usually one that flies. Just a few years ago, almost no one used this term for a robot. From non-existence to a regular on the nightly news. That’s how the robot revolution works. Today… nothing. Tomorrow they’re everywhere! It’s not just multi-million dollar planes for reconnaissance and killing terrorists. The US military has thousands of military drones on the battlefield, and more arriving every day. Civilian are buying small helicopter-like drones, as hobbyists, often to take high resolution aerial photography. No one knows how many have been sold, but on Amazon, the top 4 drones had more than 10,000 reviews. Not everyone who buys places a review, so 2-3 times that number were purchased, and then add in other models… 50,000? Double that foe everyone else that sells drones… a conservative 100,000? Robots are going from unknown to mainstream just as fast as drones, and the new generation of robots are looking for jobs. Robots may create new jobs, or they may replace human workers. In your firm, who at your firm is in charge of the robot revolution? The nature of employment went through dramatic and turbulent changes in America. In 1900 agriculture was 40% of all employment, down from 70% in the 1840’s. Today, even including logging, fisheries, and all managers (half of farming jobs), it’s just 1.5% of U.S. employment. As dramatic as this drop was, remember that in 1840 the 70% of us that were farmers, fed just under 18 million Americans. Today the 1.5% of farmers, feeds 320 million Americans, plus we sell a huge surplus to overseas markets. Technology drove these changes. The horse gave way to the internal combustion tractor, which gave way to modern GPS and computer guided farm management. Agriculture is not unique. In 1840 just 10% of the workforce was employed in manufacturing. By 1960 it was 40%, and by 2010 it had fallen to 20%. These numbers will fall still further as work that was automated or outsourced in the wake of the 2009 Global Financial Collapse, yields further efficiencies. Robots entering the workplace today will drive the next, and possibly last, stage of human industrial production. A century ago, technology provided artificial muscle, but that muscle needed to be guided by a human hand. Motors and engines developed for industrial use, later became part of our consumer products. A car is a big mechanical muscle on wheels, but it’s evolution added power steering and braking to allow us to control every more powerful vehicles. At home, the typical American has power tools to make DIY jobs easier. The next round of industrial technology added robots, machines able to perform simple tasks faster and better than humans. But these early robots were just giant arms, with tiny brains that could not see or hear. They did their one task fantastically well (ex. : attach 4 screws into a door), but were unable to handle any errors or changes in the assembly line. Robots could only work in highly structured factories, not an office or a less structured environment. New robots can see, hear. They can talk and they can deal with changes. New robots are beginning to think. Today, “lights out” manufacturing is focused on factories that can be completely automated. No workers, no administrators, no managers. The robots even deal with supply and inventory. Robots will be managed by robots. In the next decade, experts believe that a third of American jobs will be replaced by robots, virtually wiping out employment in manufacturing. Total replacement of human employment in manufacturing, and the few remaining positions in agriculture, are not the end of robotics. Instead, it is the start of a new stage in American employment. The same robots that can manage a factory, can manage functions in corporations. And…. they will! Robots in the Corporation: While farm machines were evolving into farm robots, and factories were learning to run themselves, corporations have benefited from advancements in robotic. Corporate robots rarely have arms and legs, instead they rely on robotic intelligence and: answer the phone, find information you want in a database, or track your access as you move through a building. Years ago, visiting a corporate headquarters meant being greeted at the door, guided from floor to floor, and then handed off from one receptionist to another…. each person guiding you to specific locations, and away from secure areas. Today, a guard checks a database and gives you an ID card. After that, a smart building acts as a robot, managing your time in the building. You scan your ID to get past doors and turnstiles at the main entrance, and then again at different floors. The ID has your meeting locations printed on front. Elevators scan your ID, only letting you off at floors you are programmed for. Collectively, these systems perform tasks that used to require a large number of guards, receptionists and secretaries, but are far more coordinated. In an emergency, such as a fire, some buildings can produce reports on everyone in the building, including your guests… and who has not yet been evacuated. Existing systems will soon be upgraded with the newest generation of voice recognition and voice generation. Imagine more advanced versions of Siri and other tools on your phone, that can replace the human being at the other end of a phone: phone operators, call centers, someone taking your order when you shop on the phone, information kiosks, anyone walking your through filling out a form (insurance, opening an account, etc.). Some minor robots are already in place, such as the electronic assistants that answer questions and accept payments for your cell phones. Add a little more intelligence, and they can take simple commands to pull together data into reports and presentations. Today, “knowledge workers” spend all day finding and manipulating data, in spreadsheets and databases. Big corporations have thousands of workers who spend most or all of their time doing this. These “knowledge workers” have become the 21st century’s data factory workers. Just as manufacturing takes lower cost materials and turns them into higher value goods, knowledge workers take lower value data and turn it into higher value data. Consider “analytic” jobs in corporate America. In 1970 analysts would to a nearly library to gather data, and then manually calculate formulas to get results. The PC revolution of the 1980s-90s replaced manual calculations with spreadsheets. In the 190’s and beyond financial data went from print to electronic, and was available on the desktop. Electronic tools competed with ever more useful macro’s and tools to automate the writing of financial models. When a senior investment banker wants a financial model that compares the value of companies, he tells an analyst, “Do a comp model for company ‘X’, with three comparable firms.” New A.I. systems can be taught to understand this request, and respond to this request. Once the task is understood, every robot can learn the tasks in few minutes, as opposed to months to train a human being. A trained A.I. would produce results in a few minutes, compared to an analyst taking hours or days. A huge amount of corporate work is sorting out and replying to emails, or filling out spreadsheets. “Reading” an email or a spreadsheet can now be done with natural language programming, where computers look at documents, try to figure out how to handle it (answer the email, forward it to someone, build a spreadsheet, etc.). Because of all of the automation that has gone before, and all of the examples of good and bad work done by humans, computers can “learn” from these documents. Letting computer learn by themselves is far faster and cheaper than having humans do the programming. Robots programming robots is why the robot revolution will move much faster than previous waves of technology. A.I. will learn from the vast archives of documents in every corporation. 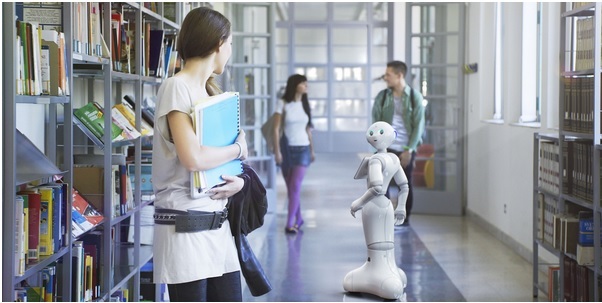 Learning robots will quickly move from basic competency to high level expertise. A human workforce needs a generation to develop a new type of expertise and then train a significant number of workers. Consider computer support, MBA’s, or environmental scientists. Once each of these become rapidly growing fields, it takes decades for schools to develop new degrees, create standards and train students. Clearly, human beings cannot learn at this speed. Once a robot learns how to perform a corporate function, new robots just need to upload the new information. Analysts in investment banks, junior lawyers in law firms, interns starting in accounting firms… even after they have the academic training, it has to be followed by years of corporate training. When new workers arrive, the same training needs to be repeated every year. If the work remains the same, you just need to upload last year’s program to do the work. Even more importantly, a third year lawyer (or bankers, or accountant) has skills that a 1st or 2nd year does not. If the work suddenly requires twice as many third year professionals, you cannot easily obtain them. You, and all of your competitors, need two years of training to get a starting third year professional. The alternative is to try to hire them away from your competitors, usually at a significant premium. If you succeed, then your competitors will be forced to steal your junior professionals. You need to plan your needs years in advance, and your plan from 2 years ago is almost always at odds with reality. Alternatively, robotic capacity can be added as needed, and robots double in power (or drop in price by half) ever couple of years. Human capacity is pretty much unchanged from year to year. Who Runs The Robots? : Today, the responsibility for office robotics is loosely divided between HR, IT, Procurement and the business unit. HR keeps an eye on people issues, including changes in the employment market. They know what is needed to staff today, and may examine alternative sourcing (contract worker? Interns? ), but HR knows little about specific robotic replacements, or how an automation project managed by IT will ultimately impact the firm or how workers can be redeployed. IT will be responsible for maintaining robots, or may just have oversight of outsourcing vendors who implement new robots. IT will help define the technology and provider, but they cannot create the business plan… the map… that will lead your firm from the old employment market to the new one. The most likely player to pull together the stakeholders and develop the business map is procurement. Procurement currently examines the firm’s expenses, finding trends in the spend and then looking at alternatives to source the same service or product. Employee compensation, however, usually falls outside of procurement’s domain. Once robots and human workers are both legitimate resources to perform a function, we will need a more integrated way to deal with sourcing these jobs. Procurement has the tools and expertise to build the business map, HR controls the domain and It will implement and manage the solution. These groups need to work together and use their individual talents to develop and implement a change roadmap for how robots will be integrated into a modern corporation. This requires more than a short term plan that shows which jobs will be lost to robotics this year. It requires an in-depth. Long-term (10 years?) analysis of where technology is advancing, which types of employment are most likely to be affected and what are all the options to replace and redeploy current staff. Remember, adoption of new technology is just the start of your business roadmap. After the transition begins, what happens to the human workers? Can the corporation develop these workers for higher skilled positions? If highly educated young professionals can only look forwards to a few employable years in a corporation, will the best and the brightest graduates choose other options… such as entering the creativity industry and self-funding through crowdsourcing and on-line sales? If major corporations fail to develop a roadmap to deploy workers in the new employment market, the robot revolution overwhelm them … just as the outsourcing revolution did! HR, IT and Procurement need to pool their resources to get in front of the changes that robotics and artificial intelligence will bring. This is the biggest change to the corporation that has happened in the 21st Century. For most corporations, the very best scenario means that corporations and employees will go through decades of challenging transition. In the worst case, corporations without roadmaps will be unable to rapidly redeploy staff and integrate robotics, failing to keep up with the market and eventually failing to operate as a corporation, causing far greater disruptions to employment and national wealth. The robot revolution is going to set a record for the speed of change. If your corporation is not aware of the coming changes and building a plan in the next few years, it may be too late to catch up later. New, opportunities for the best and brightest of America’s young workers exist outside of the corporation, and will mature into competitors to traditional corporations. If your corporation wants to keep your best workers, start drawing up your map today! At least, that’s my Niccolls worth for today! This entry was posted in Improvement, Robots, Unique Ideas. Bookmark the permalink.